Richmond, VA Cybersecurity Scene. PHOTO: Cybercrime Magazine. Perhaps you’re thinking of moving to Richmond due to a cybersecurity job offer or want to network with cybersecurity professionals there. On the other hand, maybe you have your sights set on earning a cybersecurity degree in Virginia’s capital city. No matter what, you’ll find it has an active cybersecurity scene. Here are six things to know that could help you get acquainted with it. Going to a cybersecurity conference is an excellent way to immerse yourself in all things related to the topic in Richmond. And, if you’re willing to travel outside the city, there are other options to explore. Conference organizers for the first event on the list say it marks the first Richmond-based event bringing top cybersecurity speakers to the Mid-Atlantic region. There will be keynote events, a capture the flag event and more. Then, if you want to plan a day trip, the Data Connectors conference has a keynote session and a cybersecurity leadership panel on the action-packed schedule. You can get there in about two hours, and there are train routes from Richmond to the nation’s capital if you’d rather not drive. The certificate program option works well if you prefer small class sizes. The average number of students in each class ranges from 12-15. Also, you earn the certificate after 21 semester hours, so it’s a good choice if you want a short-term option for beefing up your cybersecurity skills, mainly if you already work in the tech sector. Then, the bachelor’s degree is more involved, requiring 120 hours of coursework, 30 of which are for the Information Security major. Consider taking that route if you’re ready for a complete career change and know that cybersecurity is a good fit for you. People who attend the University of Richmond as students or work there as faculty members have high opinions of the institution, mentioning how students have resources to help them succeed, and that there’s a vibrant campus life to enjoy. If you land a cybersecurity job and hear from your boss that you need to take an exam to earn a relevant certification, it should be possible to get that done in Richmond. Numerous educational centers offer cybersecurity training or certification programs for people already working in the field. Alternatively, there are short-term training courses for people working in the field or wanting to know more about it. One option is this risk management strategies course happening on June 3 and 4, 2019. Since you decided to get into cybersecurity as a career, you’re probably curious and perpetually looking for ways to solve problems or figure out how things work. If you want to spend time in a space that gives you access to computers and other tools and lets you meet others, don’t delay checking out HackRVA. It calls itself a makerspace/hackerspace and is a community-run place where people can work on their projects in the company of others. The HackRVA website lists IT security, networking and computer programming among the members’ interests, along with things like 3D printing, robotics and wearables. Consider that you can’t predict who you’ll meet during each visit, but you’re nearly guaranteed to meet like-minded people, some of whom may become your new friends. It’s evident that representatives from the Commonwealth of Virginia realize that cybersecurity is a subject they need to tackle with continual energy. Then, Virginian organizations can fight back against attacks and understand the most likely threats they face. Cyber Virginia is a government site that publishes news, events and other resources relevant to cybersecurity. There’s also Virginia Cyber Range. It’s an effort to make Virginia a national cybersecurity education leader. The site has content intended for cybersecurity educators working with students who are in high school or more advanced. If that applies to you, or you aspire to teach soon, this site is worth a browse. Although these internet destinations are not Richmond-specific, they illuminate how the city is part of a wider push to help Virginia get cybersecurity-equipped. Richmond doesn’t have the abundance of cybersecurity headquarters within it as other areas of the state closer to Northern Virginia do. However, plenty of appealing companies are nonetheless in need of your skills. Also, the Fort Lee Army Base is about 20 minutes from Richmond’s city center. If you’re interested in a government role, that could be a worthy option to pursue. 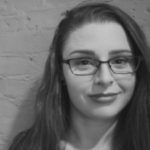 – Kayla Matthews is a technology journalist and cybersecurity writer based in Pittsburgh, PA. To read more from Kayla, visit her website.